This billboard was displayed in January, the coldest time of year in Great Britain. 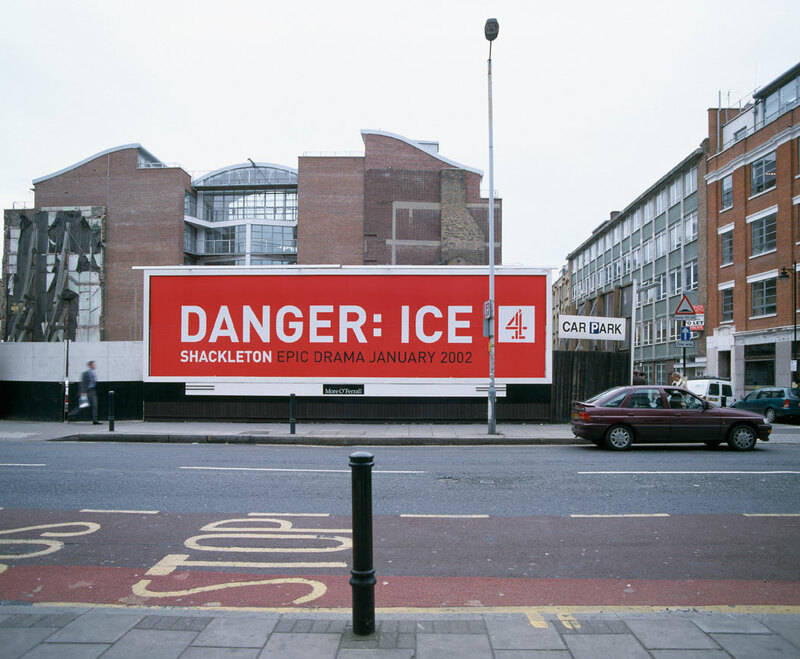 It acted both as a safety announcement for motorists, informing of the slippery road conditions, and as an advertisement for the start of a drama on Channel 4. I have always liked things that have more than one purpose: In one of the pavilions at the 2007 Documenta in Kassel, Germany I noticed a red letter F that was both a sign and a handle for a cupboard containing a fire hose. It was beautifully simple. In Brazil, there is a very common soft cheese spread that comes packaged in a small drinking glass. Once the cheese is finished, the label on the container can easily be removed, and the glass looks like any other small drinking glass. I think this is the ultimate form of recycling— why aren’t all glass jars designed with this dual purpose? My mother-in-law Liana always buys the same cheese so that her collection of glasses match. It’s a win-win solution for everybody: the cheese manufacturer, the environment, and Liana.